Jakarta Transportation Dept. has prepared traffic engineering during closing ceremony of Asian Games 2018 at Gelora Bung Karno (GBK) Stadium, Sunday (9/2).
" It will be applied at 3 PM"
Jakarta Transportation Dept. 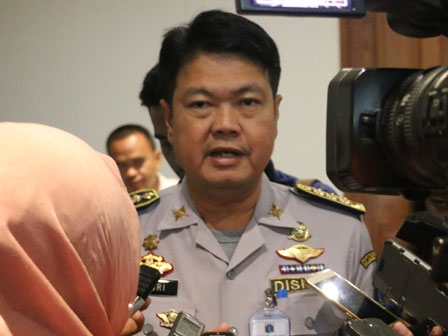 Head, Andri Yansyah stated that it is applied, as a number of roads around GBK such as Jalan Gerbang Pemuda on south side will be closed (starting from Senayan Flyover) and turn it back under Senayan Flyover. Then Jalan Asia Afrika on east side will be closed, starting from Mulia Traffic Light until Fairmont Hotel Traffic Light and road at the Senayan one door. "It will be applied at 3 PM," he expressed, Sunday (9/2). Therefore, the vehicles coming from Slipi towards Permata Hijau, will be rerouted to Jalan Gatot Subroto – Bundaran Semanggi – Jalan Jenderal Sudirman – Senayan Roundabout and so on. Vehicles coming from Semanggi towards TVRI, will be retouted to Jalan Gatot Subroto – Jalan Tentara Pelajar – Jalan Gelora – and so on. "Nevertheless we urge them to find other alternative routes and obey the traffic rules in the field," he stated.